Themes today are built for the general blogging population and simply do not work for affiliate sites because they are too cluttered and confusing to the reader. 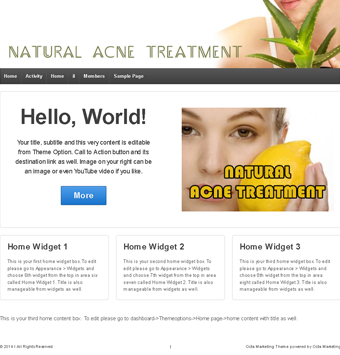 You need a theme that is clean, sharp and designed to make maximum sales. 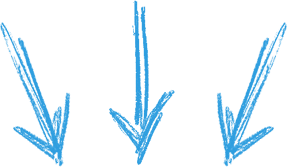 99% of Themes out there look un professional which results in a high bounce rate… (You can fix this now)..
Why AFFILIATE SITES are not converting to sales? Would you buy from a site that is full of clutter? Would you buy from a site that was full of advertisements and product banners? Would you buy from a site that doesn’t even look related to the product in terms of design aspects? Would you buy from a site that doesn’t look professional? 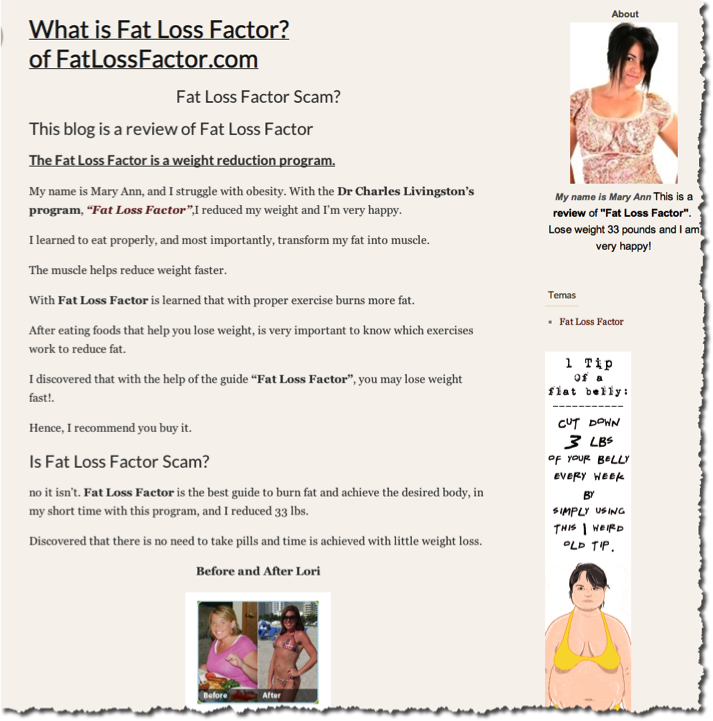 Would you buy from a site that looks “just like the rest of the affiliate sites out there”. So why setup your brand new sites on themes that are completely unrelated to the product you are promoting?. YES you can upload a site header.. but this is not enough. This is not enough to convince your readers that you are the real deal. You need to go a step further into making your sites ULTRA SHARP, CLEAN & PROFESSIONAL. In Order To Make Maximum Affiliate Sales.. Your sites need to be different to every other affiliate marketer out there. Your sites need to be clean and sharp. Direct the potential buyer to the product they are looking for. If I came to a site that looked like this.. I would close the site and continue to find another site. This site looks cluttered and unappealing just like every other site out there. If I came across this site, it would immediately catch my attention as it looks clean, sharp and trustworthy. I would continue to read the review and more than likely purchase the product on offer. As you can see the above theme TICKS ALL THE BOXES. If I landed on this site looking for a DESPERATE HAIR LOSS Package I would certainly spend some time browsing the site and would more than likely buy from it. 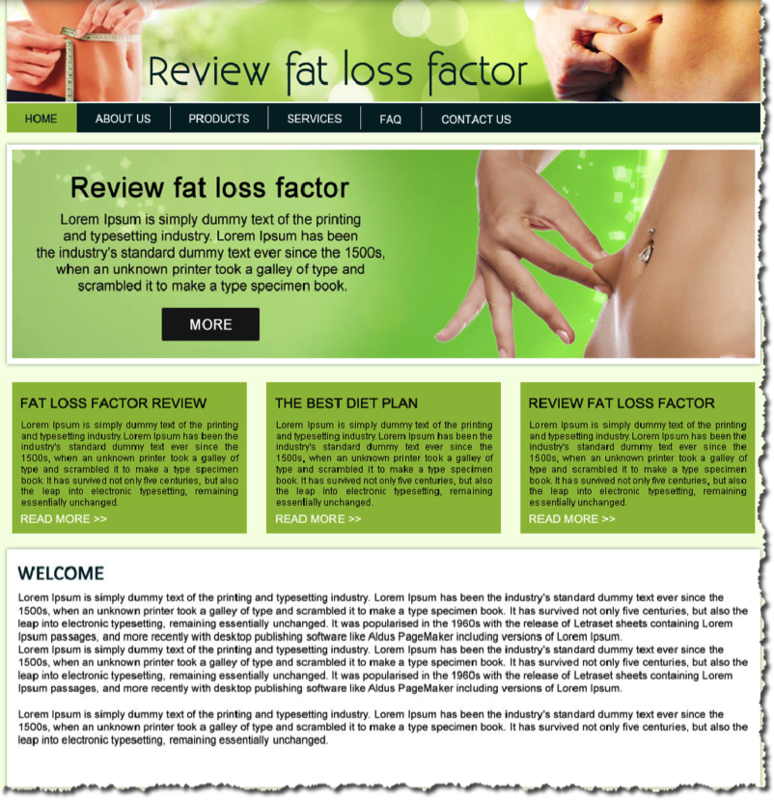 Octa Marketing themes have been designed especially for the weight loss niche to portray an extremely professional image to the viewer. Ensuring the main focus of the theme is to secure AdSense or Affiliated sales while remaining different enough from 99% of affiliate sites out there. These THEMES are BY FAR the easiest themes to setup and EDIT, you will be able to see this from the screen shots below. So What Does One Of These Themes Look Like? How Easily Can We Edit Them? From the screen shot below you can easily see that every aspect of the home page above can be edited “CODE free”, from ONE location. Simply fill in the text boxes above with your content and watch your site transform into a professional site within 10 minutes. The good news is that you can have the above theme with developer’s rights for the price of a large pizza. 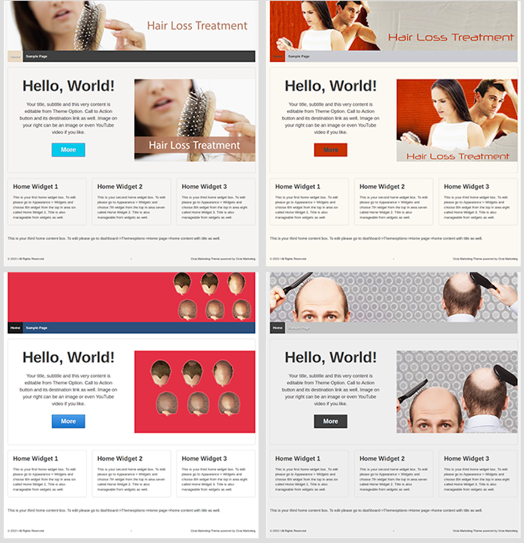 Not only this but you will get 10 FULLY CUSTOMIZED THEMES for the Hair Loss Niche. These themes are fully loaded with custom headers, colors, images and designs so that you can quickly and easily setup multiple DIFFERENT sites at once. 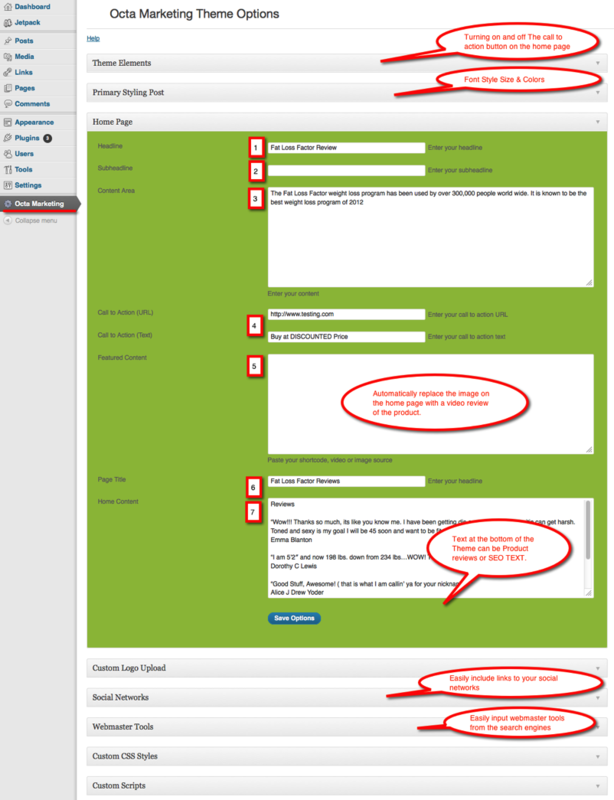 These themes were designed for speed across all platforms so that your bounce rate is greatly minimized at all times. SEO Optimized for today’s requirements. Fully mobile ready, displaying content on all mobile devices in an attractive manor so that visitors can browse at ease resulting in AdSense clicks or affiliate sales. Octa Marketing themes support all browsers on PC, Tablets, Smartphones and any other mobile device so that you gain from all the potential traffic hitting your site. 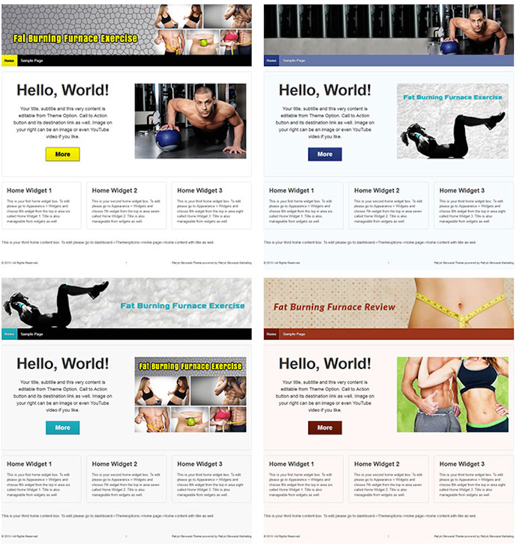 Theme layout is CLEAN, SHARP and PROFESSIONAL so that you have the HIGHEST chances of securing affiliate sales. 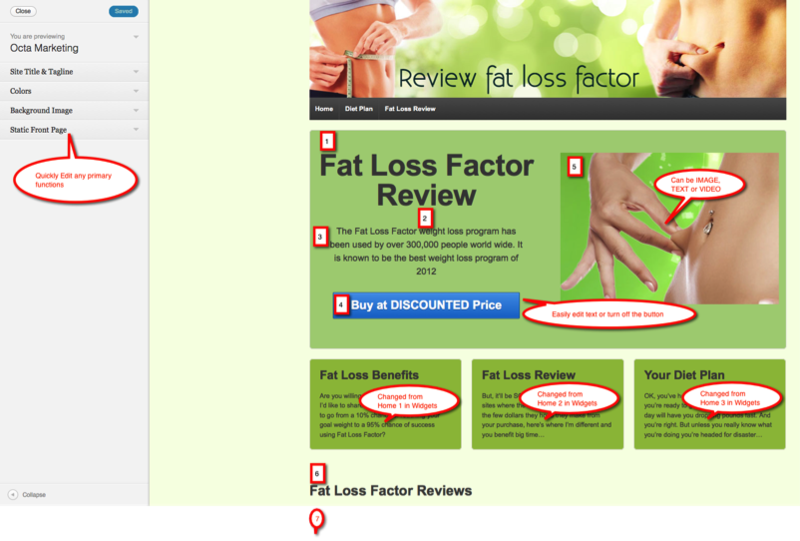 Home page right center image can be changed to display text or video at ease to suit your products preferences. Site headers can be updated at ease so that you don’t spend time playing around with code. Design and layout offers for optimum AdSense placeholders without taking from the general flow of the site. Home page “call to action” button can be activated or disabled depending your needs. Home page “call to action” button text can be edited depending on what you would like your target market to do once they reach your site. Post “font color, font face and font size” can be changed from one location so that your site maintains a clean look and feel. All social networks can be added to the home page so that your site spreads by viral means. Webmaster tools can be added from one easy location so that you give your site the best chance it deserves in the search engines. 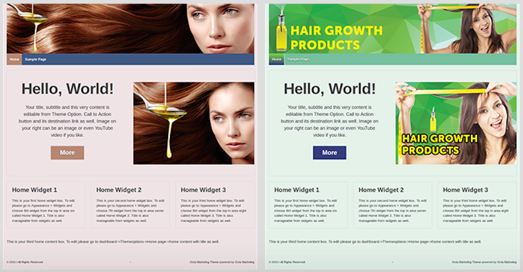 As you can see these themes are ready made and FULLY customizable for your Hair Loss Sites. No more time wasted messing around with code or trying to make a half decent looking sites with “below par” themes. 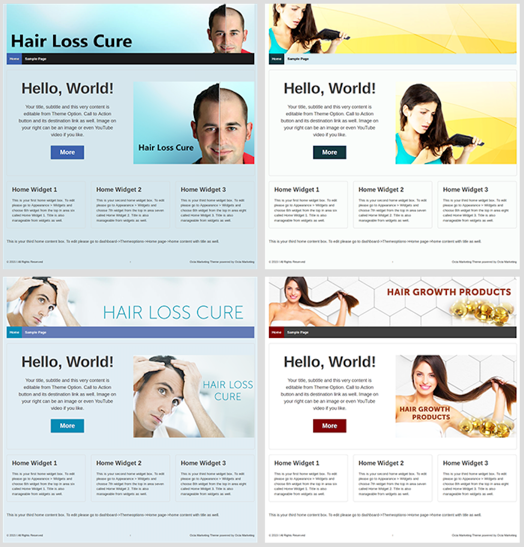 Grab your pack of 10 Hair Loss Cure Themes NOW before they increase to $67 after this initial launch.